1. 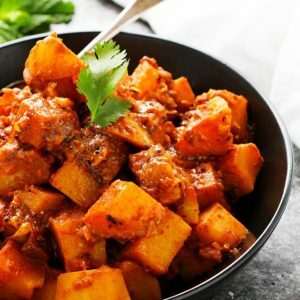 Grate the paneer and the potatoes. 2. Mix all the ingredients for kofta. 3. 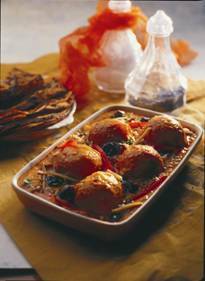 Make individual koftas and stuff them with chopped California Prunes and khoya. 4. Deep-fry them until golden brown. 1. Heat the refined oil, add whole garam masala and sauté until it begins to crackle. 2. Add ginger & garlic paste and boiled onion paste and cook. 3. Add red chilly powder, coriander powder, turmeric and sauté. 4. Now add whisked yogurt and simmer till the fat separates. 5. Add cashew nut paste and bring to boil. Reduce heat and add cream and stir. Serve California Prune Koftas covered with gravy. Garnish with chopped coriander, julienned ginger and California Prunes. 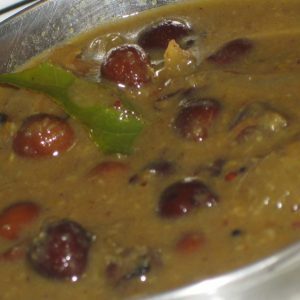 Feel free to comment or share your thoughts on this California Prune Kofta Recipe from Awesome Cuisine.